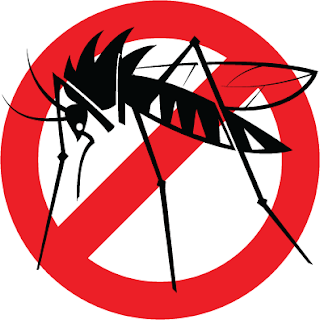 In Jhelum after a spray during anti dengue campaign, the number of school girls who fell unconscious after an anti-dengue fumigation campaign being carried out at their school has risen to over 70. The incident took place at the Domaili Girls High School Jhelum and the affected students were rushed to a local hospital for immediate treatment. The Punjab Government had actually ordered to spray in all the schools as part of anti dengue campaign to secure the children in school environment from the effect of dengue. After the spray when the female students came to classes, they start feeling difficulty in breathing. After one another, same condition emerged from many classes, the TV channels today showed the situation in the hospitals where the people are rushing with their children and female students in uniform are crying, taking oxygen masks. The tragedy is this is not the first incident, on Thursday 10 September 2015, in a similar incident 120 school girls in Jand district of Attock were rushed to the hospital on Thursday following an anti-dengue spray campaign at their school. Several of the girls had to be readmitted to the hospital the next day as they complained of difficulty in breathing. Even after that no concrete steps were taken and the result came in Jhelum. After the report on electronic media, Chief Minister Punjab Shahbaz Sharif has taken notice of the incident and summoned a report from the education officials and concerned departments. He also said that the incident is unacceptable and directed that best medical treatment be provided to the affected. The chief minister directed the education minister, health adviser, chief secretary, health secretary and Schools Education secretary to immediately reach Jhelum. The chief minister has also suspended the DCOs and EDOs Health of Attock and Jhelum and ordered to send the samples of anti-dengue spray in both the schools in a laboratory abroad for the clear data. An inquiry committee has been for investigation of the incident of becoming the condition of the female students serious due to anti-dengue spray. The inquiry committee comprising Rawalpindi commissioner and Dr Wasim Akram will review every aspect of the incident and submit a report and also determine the persons responsible of negligence. One important part of the incident is that for anti dengue campaign, the government gave the tender to private firm for the spray in schools all over the Punjab. Now the chief minister ordered to ban all private contractors from spray any further and provincial interior ministry has also declared clause 144 to impose ban on private contractors. The question, these are the things which need to be addressed before campaign, now the chief minister is ordering to send samples abroad for sampling and committees for investigation. Every time in every issue, same pattern has been followed, the public bears and officials just do investigations and suspend the officers.